Take Advantage Of Our Halloween BuyBack! 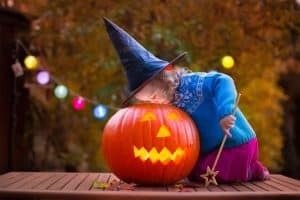 There is so much to love about Halloween, but as dental professionals, we also know that too many sweets and candies can lead to the onset of tooth decay. For kids, Halloween is the beginning of a season of indulging in too many sweets. Fortunately, we have a fun and unique solution: Our Halloween buyback program! Instead of throwing away candy, let your children sell it to us! On Wednesday, November 1st from noon until 8pm you can bring your candy to our Richardson location. On Thursday, November 2nd from noon until 8pm you can bring your excess candy to our Dallas office. We will then weigh the candy and pay a dollar per pound. So, let your kids know that the more they donate, they more they can make! We then donate all the candy we receive to Operation Gratitude. Operation Gratitude, which you can find out more about here, will then send the candy to our troops overseas. Your children have an opportunity to bring a little bit of home to our troops currently stationed very far from it. Philips Kids Sonicare Toothbrush Raffle! Did we forget to mention the raffle? All participants will be entered into a drawing to win a Philips Sonicare Toothbrush! This electric toothbrush can help thoroughly clean your child’s teeth and protect their oral health. If you have any questions about avoiding tooth decay, or about our Halloween promotion, then please contact our office today. Remember, we’re always here with a calm and friendly approach to children’s dentistry. Our team wants to offer a fun solution to the dangers that too much candy can pose, to learn more about our program, please don’t hesitate to give us a call! Our Dallas, TX office welcomes patients from North Oak Cliff, Bishop Arts District, Kessler Park, Duncanville, Grand Prairie, and nearby cities. Our Richardson, TX office welcomes patients from North Dallas, Plano, Garland, and the surrounding communities. To schedule an appointment, call Viva Dental Family Dentistry at (214) 337-7800 (Dallas) or (972) 437-6000 (Richardson).